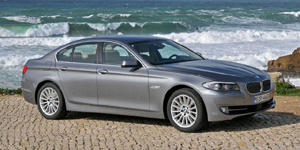 Powered by 6- and 8-cylinder engines and featuring optional all-wheel drive, the handsomely styled 5-series offers a blend of dynamics and comfort unrivalled in its class. 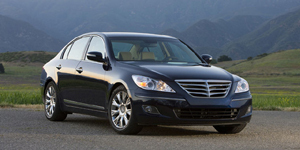 Based on Hyundai's first rear-wheel-drive platform, the Hyundai Genesis features modern styling, powerful engines, fine ride and handling, and extensive standard equipment for a bargain price. 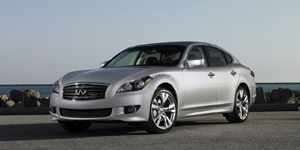 Powered by V6 and V8 engines driving the rear wheels, the Infiniti M is one of the sportiest and best handling entries in its class. 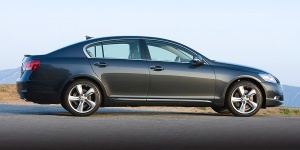 All-wheel-drive is an option. 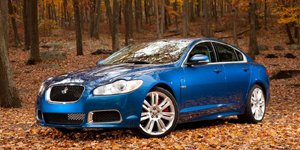 Based on one of the stiffest bodyshells, the Jaguar XF offers excellent handling, a modern, luxurious, and comfortable interior, and a choice of powerful V8 engines driving the rear wheels.